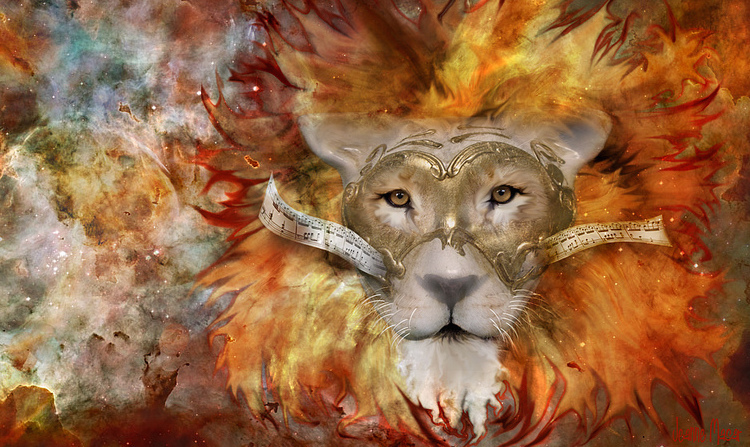 A Guide for Empaths & Sensitive People to the Lion’s Gate (8/8/2015 = 888). Every year the Star Gate of the Lion opens up on the 8th of August and closes on the 12th of August. This happens during the sun’s passage through the Leo phase of the zodiac. A Star Gate is a portal that allows rapid travel between dimensions of two distant locations in the Universe. It is a time for life changing and transformative energies where we will find the passion and creativity to do what we’ve been putting off doing for far too long. The energy that we will receive will be coming in waves and it generally starts three days before the Lion’s Gate opens. Some initial signs of the energy in force will be feelings of tiredness, exhaustion, fatigue and basically struggling to pull ourselves together to do anything but mull around feeling irritated and lethargic and wondering what it is that hit us. When the vibration hits us we can try to push against it, however, it will exhaust us further. So it is better to let it pass through and wait patiently for it to clear. Energy is brought to us for a purpose and this time it is to slow down any anger, frustration or irritation we have been feeling so that the soul can be soothed and we can take a break from drama and heal a little. For those who are empaths or highly sensitive to energy, this period will hit harder than it will for most others. It is very likely that empaths and Highly Sensitive People (HSPs) will very quickly feel overwhelmed by what is happening right now and will have no idea as to where this powerful force is coming from. The 8th of August is going to be the most potent, high frequency and intense day, so for those who are feeling it most, this is a day to sit it out, take a break from normal activity and quite literally take shelter from the storm. This is a good time to protect the outer energy layers by either smudging sage, meditating or simply spending some alone time pampering the body and mind, so that the effects are not too overwhelming or traumatic and little damage is done. The most likely effects of this energy will show in signs of increased anxiety, physical and emotional stress and a general lull in energy which can feel like things are at an all-time low. This will very quickly pass, so it is imperative to take whatever action necessary to protect the electromagnetic field surrounding the body so that the impact is very minimal. Although August 8th will be debilitating in many ways, it is also the day that has the highest potential for positive personal change. So, the best thing we can do for ourselves during this time is to let the energy work its magic and allow it to do what it must by ensuring that we are not energetically frazzled or stressed. This way the force is free to surround and absorb us so that it can be stored. This portal is an opening to the power of the heart and this energetic wave that is arriving is one that will be filled with unconditional love. It is opening us up to the opportunity of a conscious awakening, should we choose to fully accept it. We are made of Stardust; we are living human vortexes filled with light and on 8-8-8 (2015=8) we are given the opportunity to be escorted home to the stars to realign with the universe and draw from the source of it. The number 8 is associated with harmony, abundance, balance and power and when the number is laid on its side it is also the symbol for infinity. This means we are at the stage where we are capable of creating infinite possibilities. Due to the number this year being 8-8-8 this energy is represented as the masculine, feminine and spiritual wisdom. The number 8 is also the most powerful number of the Goddess and this number, in ancient Babylon, was known as the number of Ishtar, also known as the divine personification of the planet Venus. 8 is also strongly associated with creativity and manifestation. Therefore, it is a time to take control of what it is that we want and then put our passionate desires into action—now is the opportunity we have been waiting for to step into the limelight and turn our dreams to reality. We are going to be going through a phase whereby we are reaffirming our boundaries, taking responsibility for ourselves and more importantly taking accountability for all that is in our lives, all that we are and also who we are about to become. This is also a time for karmic repercussion and also the shadow side of masculine energy is being brought to the forefront; this means that we are being made aware of anger, aggression, selfishness, misuse of power, frustration, resentment and even hatred. It is also to be noted, with the recent killing of the lion, Cecil, which was brought to our attention during the phase of Leo, all of these things have shown up on a mass scale. Although this has been a time for the darker/negative aspect of the masculine side, we have also experienced a surge of hearts opening and it has been of notable change on a global level. Again, this is a great time for healing, for soothing the soul and repairing any damage that has been done due to the masculine’s shadow energy. This is not solely about one lion; it is an example of the energy that is currently at play on a mass scale. The killing of Cecil during Leo, and it being brought it to our attention right before the Lion’s Gate opened up, is a way for us to focus on major change that is much needed. This is a time whereby we will all be focusing on the masculine wounded energy that is within us. We all have parts of the shadow side of the masculine inside us and we all are capable of experiencing and expressing all of the emotions that are associated with it. This energy is here to calm it down, to show it to us and then show us more effective ways of dealing with it. We can all express our anger without using aggression—it is only our wounded selves that allow us to be triggered until it rages out of control. All those who are very sensitive to energy will have felt the incredible pain and anger that has roared up over these last few weeks and, unless each individual has protected their energy field, it will have directly affected their psyche. We also must be very aware right now of the energetic vibrations we send out and carry around with us. It is essential to clear our energy by sending out waves of unconditional love, peace, calm and compassion, but most importantly and firstly we must send ourselves self-love and acceptance. It is always advisable to protect ourselves first before we attempt to protect or heal anything or anyone else. Otherwise, we will find ourselves very quickly debilitated and drained. 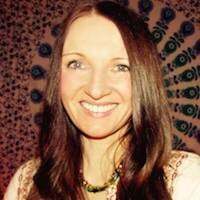 The cosmic energy has been at an alarmingly high intensity for some weeks now and it is very likely that many people are feeling frazzled and exhausted, wondering how much more of it they can handle. The good news is that this energy is on a pivot that peaks on the 8th of August and although the energy will still remain high, from this point onwards we will begin to see things settling back down to a more normal level. Energy exists in everything—in people, planets, plants—it surrounds us and it swirls around the universe. The Lion’s Gate energy is exceptionally strong and with the lion being a symbol of feminine courage and strength, we are being given an opportunity to sit back and absorb all the energy that is coming our way and draw out the energy we require so that we are emotionally, physically and spiritually prepared for the next phase. As long as we are consciously balancing our masculine and feminine energies, we should come out of this period heading in a new direction, with renewed energy, endless possibilities, a greater wisdom, increased levels of love and a far greater grasp on the truth. A Powerful Buddhist Way to Let Go & Immediately Be Happy. Thank you for this very timely article. Spot on. I have been experiencing a lot of work related stress for an extended period of time, and this week, I took a couple of days off for relaxation at a favorite place in the mountains. I was traveling with a friend who also needed decompression time. I was surprised by the intensity of anger, irritation and agitation that I showed up with and the morning of 8/8, I felt this and exhaustion so strongly. I am very empathetic, and have skills in not internalizing everything, but recently, it has been a challenge not to be a sponge. Taking time for relaxation in Nature did help, as did writing and later having a discussion about life path, passion, purpose and renewed appreciation for my abilities and interests. The past few days have been very bumpy but I now have fresh insight and clarity. In addition to aggravating my PTSD, the anxiety and associated effects have had the inimitable and unavoidable effect of draining me and giving me nightmares and restless sleep. If you, like me, find yourself struggling to integrate this absolutely dynamic and unrelenting force…might I suggest running as fast as you can toward a place of sanctuary (mountains, beach, wilderness or a house somewhere deep in either the first or third environments) and ride it out, utitlizing whatever adjuncts you feel are appropriate for you. Otherwise, find an outlet for the undesirable energies to channel them into to allow them to bypass your energy field and be dissipated. Turn off the news and information streams…they only make it worse. Kill your television while you’re at it too, or do what I did 7 years ago: give it to your neighbor (or list it on Craig’s list, etc.). Disconnect and allow yourself minimal contact with the rest of society (or only as much as you feel comfortable with) until this has passed.